Widely respected as the industry`s most prestigious and important leadership event, The Coatings Summit will place in Miami, USA in 2015. Senior management from formulating and supplying companies will meet to discuss and network from January 21 - 23, 2015. To subscribe to our free monthly "IPC- e-newsletter", and read the current edition click the banner below. To subscribe to our paid "ebiz" newsletter click the banner below. Explore all the newsletters issued in the past ten years. Share your messages, problems, tips, queries, discussions etc. on our message board.. Note : Do not post messages of commercial nature. IPC talks to people ! For those who need to know the moderator personally. 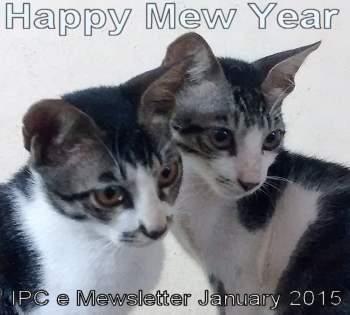 Welcome to the January 2015 edition of the IPC e-newsletter. The IPC e newsletter is distributed free to more than 4000 people around the world. If you have information you would like to have included in this newsletter, please contact the moderator using the details given at the end of each newsletter. While we have used our best efforts in collecting and preparing the information on this newsletter, we do not assume, any liability for any loss or damage caused by errors or omissions, whether such errors or omissions resulted from negligence, accident or other causes. The user may use their own discretion while using the information. A lot of efforts go into the compilation of the pages of our website Some of the contributions from our subscribers are exclusive. While using the contents into other print media, we would appreciate a reference to our website. Some of our subscribers are not receiving the newsletter on their email ids. Here are some tips. Check your spam or junk mail box. If your are not subscribed to our newsletter please add your email id in the box given below. It appears that many of our subscribers are not aware of our e-biz newsletter. Our website generates a number of business enquiries every week. Such sales leads can generate business for a several products. You must have observed that we are eager to share such information with all the relevant people. Unlike, other business website which restrict "supplier to customer" interaction, we promote this activity. Subscribe to the e-biz-newsletter, which contains information about potential customers who are in need of products related to powder coating. You can read all the previous editions of the IPC e newsletters on this archive link in case you missed any of them. EVANSTON, Ill. – U.S. Department of Labor Occupational Safety and Health Administration inspectors found employees at Arturo's Painting & Restauration Inc. being exposed to dangerous levels of lead-based paint while they manually scraped and power sanded a home exterior in Evanston without personal protective equipment. OSHA initiated an inspection of the company under the National Emphasis Program for Lead, which identified 17 serious safety violations for which the company was cited. The May 19, 2014, inspection resulted in proposed penalties of $46,000. Lead exposure can cause long-term damage to the central nervous, urinary, blood and reproductive systems. "Lead is a leading cause of workplace illness and a common health hazard. Lead particles travel from work sites on clothing and other materials, so taking precautions to prevent exposure are important for workers and their families," said Angie Loftus, OSHA's area director for Chicago North in Des Plaines. OSHA's investigation found workers exposed to airborne lead levels up to 1.2 times the permissible exposure limit. OSHA identified lead, cadmium and arsenic during the inspection, and determined that Arturo's failed to train employees concerning hazards associated with exposure. The company also failed to determine employee exposure levels to lead before directing workers to remove paint with sanders and scrapers. In addition, Arturo's failed to provide properly fitted respirators to protect workers from lead overexposure and training in respiratory protection use and procedures. Other violations involved lack of personal protective equipment, including clothing and gloves; medical surveillance; hygiene and housekeeping practices. A serious violation occurs when there is substantial probability that death or serious physical harm could result from a hazard about which the employer knew or should have known. Note: The infomercials are in alphabetical order. No other priorities associated. PCO is the most comprehensive Buyer's Guide/Directory of powder coating suppliers on the web. The site is divided into 50 specific categories all related to a range of powder coating technologies, equipment, products and services. suppliers tap into the thousands of shoppers who visit PCO every month. Vijay Enterprises is a leading manufacture of powder coating materials (PCM) in India. VIJAY COAT today stands as a Reliable source of High Quality and Durable Powder Coating materials at very reasonable prices. Vijay's PCM find extensive application for industrial and other demanding applications. Vijay enterprises was incorporated in 1995 with a view to supplying quality PCMs to Indian industry. Vijay's manufacturing set up is equipped with best machines from M/s Buss AG Switzerland who are world's largest manufacturer of Powder Coating Machines. Vijay has now established itself and earned a name for its quality supplies and prompt delivery at reasonable prices. The types of powders manufactured by VIJAYCOAT are as under. Often we receive emails with no contents, but a resume word document attachment. This column could be of use for such people, those who are looking our for better prospects. Vitthal Rukhmini Nagar, Dativali Rd. (Inplant Training ‘3’ months in Kansai Nerolac paints Lote.) Amarnath Kushwaha has a fifteen year expreience in powder coating and is currently a a powder coating in-charge in a company in Mumbai. 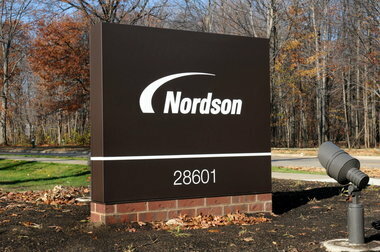 WESTLAKE, Ohio -- The Nordson Corp. is setting records for sales growth and profits. The company -- a maker of highly engineered production equipment for other industries -- on Thursday reported a 14 percent increase in sales to $469 million for its fiscal fourth quarter ending Oct. 31 compared to the same period in 2013. Net income came to $72 million or $1.13 per share -- up from a net income of $60 million or 92 cents per share in the last quarter of fiscal 2013. Calcutta, Nov. 30: Domestic paint manufacturers expect their operating profit margins to improve in the third quarter because of the fall in crude prices. Lower prices of crude will bring down the cost of raw materials for paints makers, who are eyeing about a 1 per cent increase in operating profit margins in the quarter ending December. Raw materials account for over 50 per cent of a paint company’s total expenses. Brent crude fell to a four-year low on Friday to $71.12 per barrel, while the US crude fell to a four-and-a-half year low of $67.75 per barrel after the Opec decided to keep the output unchanged. Crude oil derivatives are a key ingredient in the manufacturing of solvent-based paints made by all the major Indian companies, such as Asian Paints, Berger, Kansai Nerolac and AkzoNobel. “There will be a definite impact on the operating profit margins of the paint makers in the third quarter with crude prices falling. There will be a slight increase in the margin,” said Abhijit Roy, managing director of Berger Paints. The margins are expected to improve further in the fourth quarter if crude prices soften more, Roy added. However, the gains on lower raw material expenses are unlikely to be passed on to the consumer in the form of lower prices immediately. The Andhra Pradesh State Investment Promotion Board (SIPB) headed by chief minister N Chandrababu Naidu today cleared a special package of incentives for a large paints manufacturing facility proposed by Asian Paints. The country's largest paint maker has approached the government with a proposal to build 400,000 kilolitre manufacturing plant near Pudi village in the north coastal district of Visakhapatnam, according to government officials. (Reuters) - Huntsman Corp (HUN.N) said it would cut about 900 jobs and that it was exploring options to reduce capacity at its titanium dioxide, or white pigment business, under a broader restructuring program. Shares of the chemical maker, which has about 12,000 employees, were down 1.8 percent at $25.07 on the New York Stock Exchange on Monday. The chemical maker, which bought Rockwood Holdings Inc's (ROC.N) pigments business for $1.1 billion in October, had been betting on a turnaround in demand for titanium dioxide. But prices of the pigment, used as a whitener in various products from toothpaste to car paints, continue to remain dismally low due to oversupply. NOIDA, India – According to a new report by research firm RNCOS, the industrial paint market in India is growing at a high rate backed by a boost in demand for automobiles. The growth in car ownership and increasing levels of consumer spending are a few of the reasons for the growing automobile sector. The level of competition in the automotive industry is intense, and consolidation has resulted in an increase in larger groups competing to supply the market. The report predicts that the increasing importance of the region as a car-manufacturing center will ensure continued growth at a comparatively faster pace than the markets in Europe and North America for the next 10 years. PHILADELPHIA--(BUSINESS WIRE)--Axalta Coating Systems, a leading global supplier of liquid and powder coatings, announces the expansion of its global product portfolio to include the Alesta® Global Color Collection, an architectural powder coatings line. The use of powder coatings on construction materials such as cladding and aluminum extrusions has proven extremely beneficial and is already well-established in Europe. Besides providing excellent protection of the substrate, these innovative powder coatings also provide a variety of exciting, aesthetically pleasing colors and surface textures to support the diversity of building design and coordinate with surrounding landscapes. PPG Industries Inc. (PPG - Analyst Report) has announced that it is currently under negotiations with the AXSON Group to acquire REVOCOAT, a global supplier of sealants, adhesives and damper products for the automotive industry.. The company expects to wrap up the transaction in the first quarter of 2015, subject to regulatory approvals and other customary closing conditions. Financial terms of the agreement remain undisclosed. REVOCOAT, a France-based company, with more than 500 employees, operates seven manufacturing facilities and one research and development center. It is part of the AXSON Group, a leading polymer formulation manufacturer. The new research report “Coil Coatings Market by Type (Polyester, Fluropolymer, Siliconized Polyester, Plastisol, and Others), by Application (Steel & Aluminum), and by End User Industry (Building & Construction, Appliances, Automotive, and Others) – Global Forecast to 2019”, report analyzes the global coil coatings market with respect to market drivers, opportunities, and trends in different regions. The current market value of the global coil coatings market (2013) is about $4,449.02 million and is estimated to reach $6,410.44 million by 2019, at a CAGR of 6.30% between 2014 and 2019. High up on the top floor of a run-down industrial brick building in Charlestown sits Emily Thibodeau’s workshop. It takes but one good look around to see this is not your posh, Kendall Square-inspired startup. There are no fancy tools and gleaming workspaces, just well-used compressors and cabinets. And Thibodeau might not be there at all if it weren’t for an aging industrial paint oven that was in search of a new owner. 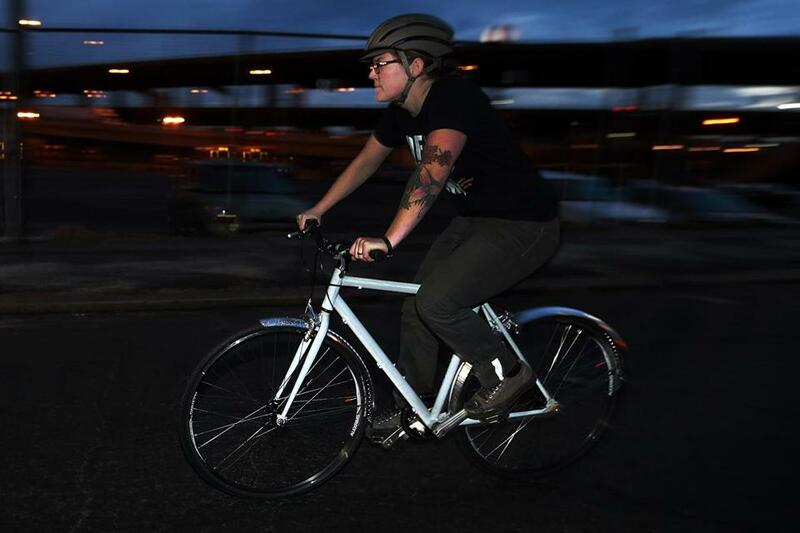 Thibodeau runs a bike repair shop, Hub Bicycle , but with the oven she has a new business that should give her instant cred with the Innovation set: painting bicycles with a special reflective powder coating that turns ordinary frames into powerful reflectors — entire bicycles that glow with the intensity of a stadium light when hit by headlights. Starting next week, Thibodeau will offer the reflective coating via her new venture, Hub Powderworks, in a color she calls Zakim grey, for $529 ($599 if shipped within the United States). MUMBAI: German chemicals company BASF today said it will invest Rs 370 crore to set up a new innovation campus at its Navi Mumbai facility to expand its R&D presence in the Asia-Pacific region. The innovation campus will be BASF's second largest facility after the one in Shanghai. "India is very important market for us. We will invest around 50 million euro (Rs 370 crore) via BASF Chemicals India, a 100 per cent subsidiary of the German-based BASF to set up new innovation campus, which will be operational by 2017," BASF vice-chairman Martin Brudermuller told reporters after the ground-breaking ceremony for the campus here. MUTTENZ, Switzerland – Specialty chemicals company Clariant announced a price increase for its polymer additives products. Effective January 1, 2015, prices for plastics and coatings products will be increased up to 10% as a result of higher costs. The increase will affect selected products within the light stabilizer, antioxidant, process stabilizer and antistatic portfolios. Automotive paint is one of the most important non-machinery parts of automobile. In most cases the automotive paint becomes the first point of attraction for buyers. Automotive paints provide protection against acid rains, UV-rays, oxidization, corrosion and in some cases it also provides scratch resistance to the vehicles. Over the past few decades the automotive paint technology has matured in terms of quality of products, durability and color options offered to the end users. North America Polyurethane (PU) Market Is Expected To Be Worth $14.46 Billion By 2020: Grand View Research, Inc.
NCFI’s spray polyurethane foam insulation (SPF) is used on the second stage liquid fuel tanks of the Orion, a NASA spacecraft. MOUNT AIRY, NC – December 18, 2014 – NCFI Polyurethane's 30-year partnership with NASA was re-launched Dec. 5, 2014 with the space agency's first successful post-Space Shuttle launch and test flight of the Orion spacecraft. NCFI's spray polyurethane foam insulation (SPF) is used on the second stage liquid fuel tanks of all NASA spacecraft. "NASA and the United Launch Alliance (ULA—the Boeing and Lockheed consortium), uses our polyurethane foam insulation, specially-formulated for high temperature and extreme pressure applications, on their external liquid fuel tanks to prevent condensation and the formation of ice on the tanks that could come free and harm the main vehicle," says Clarence Tolbert, a vice pres. with NCFI. "The fuel tanks of the Delta IV Heavy three-core rocket contain liquid hydrogen and oxygen, and are actually a tank within a tank covered by a skin onto which our foam insulation is spray applied. Nothing covers the foam, so it's pretty obvious as the golden yellow, or slightly orange acreage on the exterior of Orion." Paints stocks like Asian Paints, Berger Paints, Shalimar Paints and Akzo Nobel to get astro support, says Satish Gupta of astrostocktips. you thought was the best option? Specifically when sand blasting is not an option due to the "coarse" surface area left. I know sand blasting can be fine, but it is still difficult to get a smooth surface. solvent cleaning and possibly media blasting will suffice. For anything that will reside outdoors you need more than that.Powder chemistry has a large effect on durability and performance. For instance epoxies and hybrids adhere well over blasted metal and can provide decent corrosion resistance with a minimum of surface preparation. Essentially all other chemistries require metal cleaning followed by chemical pretreatment. So if you are using a polyester, acrylic or polyurethane powder it's best for clean the metal first with an alkaline solution, rinse well then apply a chemical pretreatment. These are typically phosphate based for steel and chromate based for aluminum. Chromate is rather hazardous (actually carcinogenic) so I would strongly recommend that you investigate alternate materials if you need to pretreat aluminum. Newer chemical treatment types are emerging that are based on zirconates, titanates and silanes. These are essentially non-toxic. Process control with these is critical and therefore it is necessary to carefully follow the supplier's application parameters. It is also very important to recognize that although cleaning techniques may be universally acceptable for both steel and aluminum, chemical pretreatments do not translate across these very different metals. Iron phosphate works well on ferrous substrates however it does not prepare aluminum adequately for high performance powder coating performance. You will need chemistry specific to your metal type. Distinct of image is more than just a gloss measurement. It refers to the crispness or distinctness of a reflected image. Initially this was assessed visually by projecting a series of different sized images onto a coated surface. This was accomplished by using a “glow box” that works by passing focused light through a slide containing these images of varying sizes. Kind of like a projected eye chart. See: (see: http://www.gardco.com/pages/gloss/doimeter.cfm ). A little primitive but it gets the job done. DOI measurement has since evolved with an Instrumental technique. This method is described in ASTM D-5767. (see: http://www.astm.org/Standards/D5767.htm and here Instrumental assessment eliminates operator influence and is therefore more precise and reproducible. create low gloss will reduce DOI and also small filler particles with high oil absorption will reduce DOI. Capisce? I hope that this helps. On this Coating Calendar you will find a wide variety of industrial events in the field of coatings, adhesives, sealants, construction chemicals and coatings application. Jürgen Haußmann, managing director of event promoters FairFair GmbH. Practically all of the market and technology leaders from the various fields of industrial coating technologies are amongst the 175 companies who are already included in the exhibitor list. It’s no wonder that PaintExpo has established itself as the number one information and procurement platform for users around the globe. This is also made apparent by the visitor numbers at PaintExpo 2014 which increased by 14.2% to a total of 9167. 26.6% of the expert visitors came from outside of Germany – from a total of 70 countries. “PaintExpo has evolved into the unequivocal meeting place for the industry sector. The audience has once again become more professional and international, and even more visitors have attended PaintExpo. We’re already looking forward to PaintExpo 2016”, reports Martin Weidisch from marketing at J. Wagner GmbH – one of the companies who have already made firm bookings for floor space at the leading international trade fair in 2016, and are thus enjoying a full range of options with regard to booth location. Amongst other companies, this is also being taken advantage of by US manufacturer of UV-LED curing technology, Phoeson Technology Inc., as well as Lesta S.R.L. from Italy, who both participated at the leading trade fair for industrial coating technologies for the first time in 2014. 18 months before the trade fair opens, the companies who have already registered for PaintExpo 2016 will occupy roughly 6,300 square metres (67,812 sq. ft.) of floor space, which amounts to about 50% of all occupied floor space in 2014. And roughly 40% has already been firmly booked for PaintExpo 2017. “We’re expecting further growth of visitor numbers once again in 2016”,says Jürgen Haußmann. This is indicative of the fact that users in various regions around the world are faced with different, but nevertheless generally increasing requirements. These include higher levels of quality and increased productivity, as well as more flexibility and sustainability. Beyond this, the use of new materials, for example lightweight components made of fibrous composite materials, as well as utilisation of various materials within a given finished product, are presenting in-house painting operations and coating job-shops with new challenges. This results in investment needs for in-house painting operations around the globe, because these requirements can only be fulfilled through the use of technical innovations. And these are presented by the exhibitors at PaintExpo in a diversity which is unparalleled anywhere else in the world, and cover the entire process sequence for liquid painting, powder coating and coil coating. The exhibition programme encompasses liquid painting and powder coating systems, application systems and spray guns, liquid paints and powdered enamels, automation and conveyor technology, cleaning and pre-treatment, drying and curing, environmental technology, pneumatics, compressed air supply and exhaust purification, water treatment, recycling and disposal, accessories, measuring and test technology, quality assurance, paint stripping, job-shop coating, services and technical literature. Beyond this, downstream process steps such as printing and packaging are covered as well. The same programme will be showcased at the 3rd trade fair for industrial coating technology in Istanbul, Turkey, from the 15th PaintExpo Eurasia, through the 17thmutually by FairFair GmbH and Artkim Fuarcilik. While we have used our best efforts in collecting and preparing the information on this website and newsletter, we do not assume, any liability for any loss or damage caused by errors or omissions, whether such errors or omissions resulted from negligence, accident or other causes. The user may use their own discretion while using the information.